Feel the dynamic beat, get started to find a Japan tour! 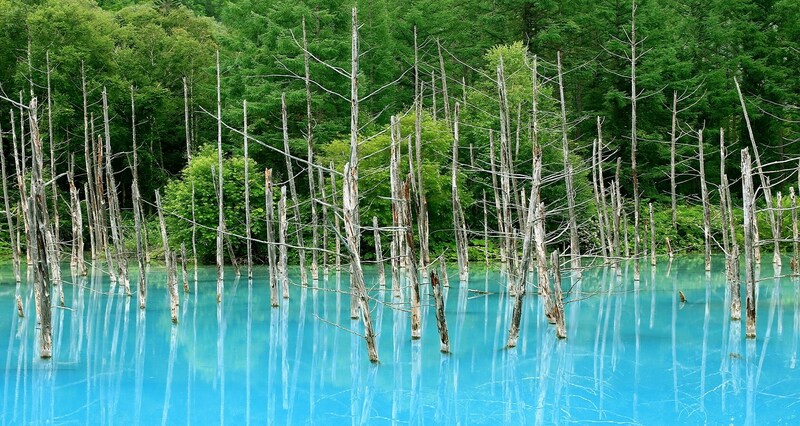 Discover the treasures of Hokkaido, Tohoku, and the rest of Northern Japan! Enjoy a scenic, light hike along the elevated boardwalk path from the parking lot to the beautiful first lake. Along the canal and charming gaslight lamps and stately warehouses filled with restaurants, variety stores, and souvenir shops. The pond's blue color is said to be a result of the water from Biei River that shines a bright blue depending on the seasons. 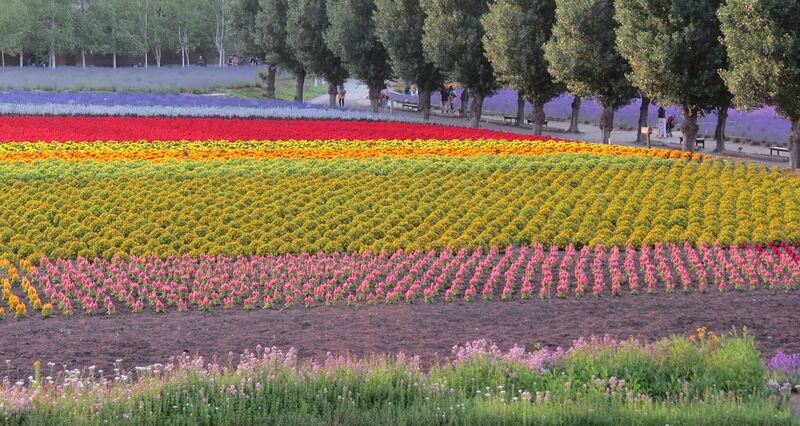 Farm Tomita is one of Hokkaido’s premier flower farms with various types of flowers, including Lavenders, Poppies, French Marigolds, and many more. 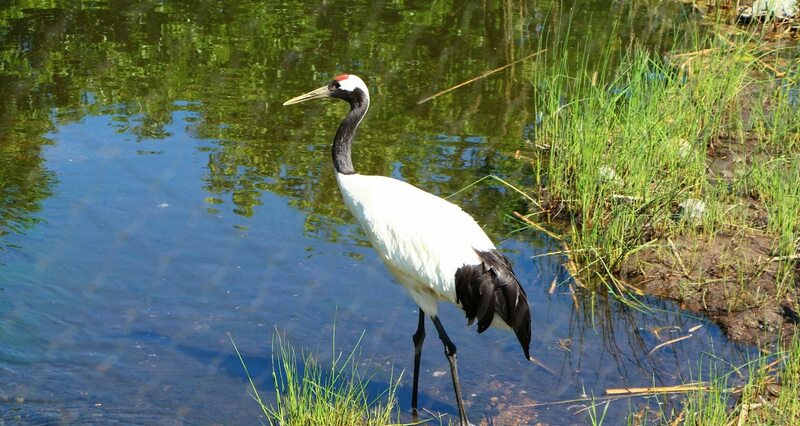 One of the rarest species of cranes in the world,the Red-Crowned crane is a symbol of Japan said to live for 1,000 years, and served as the imspiration to Japan Airline's Logo. One of Tohoku's largest festivals. 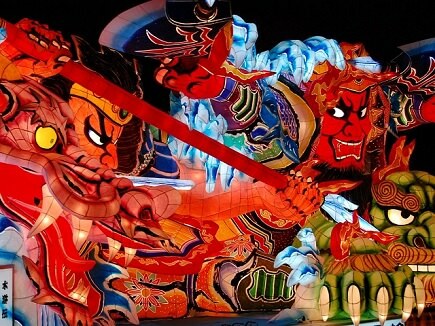 The Aomori Nebuta Matsuri get's its name from the Nebuta, a float of a brave warrior, which takes over the street with other floats during this fun summer festival. Tanabata, also known as the "star festival", takes place on the 7th day of the 7th month of the year. One popular Tanabata custom is to write a wish on a piece of paper, then hang the paper in hopes the wish will come true. While Northern Japan is not the first choice destination among international travelers, Hokkaido and the rest of Northern Japan are the top destinations for return & domestic travelers alike. Just north of Honshu, Hokkaido is a treasure trove of culture, delicious foods, and wonderful sites that blend nature and Japanese culture. Unlike the rest of the country, Hokkaido is home to the Ainu, the indigenous people of Japan. Our line of Northern Japan Tours in Hokkaido are based on private Japan tour packages, showcasing only the best. During the summer, things heat up in Tohoku as some of Japan's biggest festivals are celebrated during the warm season. Come on a magical journey with us as we uncover Tohoku and its three major festivals: the Kanto Festival in Akita, Nebuta Festival in Aomori, and Sendai's Tanabata Matsuri. Japanese Festivals are a special experience dedicated to the season and traditions of the local shrine, resulting in big fun and festivities. Sample authentic street foods while celebrating Matsuri-style during an epic Japan Tour vacation package through Norhtern Japan. Our Highlights Japan | Hokkaido Tours is the perfect tour to discover the charms and treasures on Japan's northern island of Hokkaido. 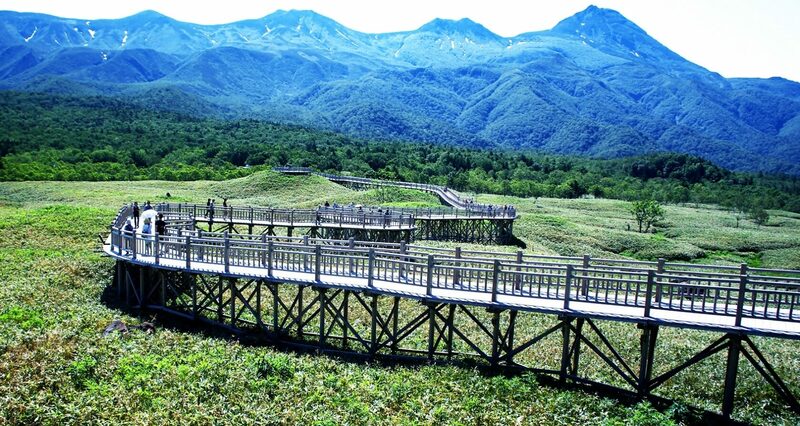 Starting in Shiretoko, this tour will explore the best nature and scenic stops Hokkaido has to offer. Enjoy fresh kaisen donburi (seafood bowl), soup curry, ramen, and more! Enjoy a relaxing cruise at Shiretoko before a brief hike to the lakes. We also plan to stop by an Ainu settlement to learn more about Japan's indigenous people and their traditional customs. 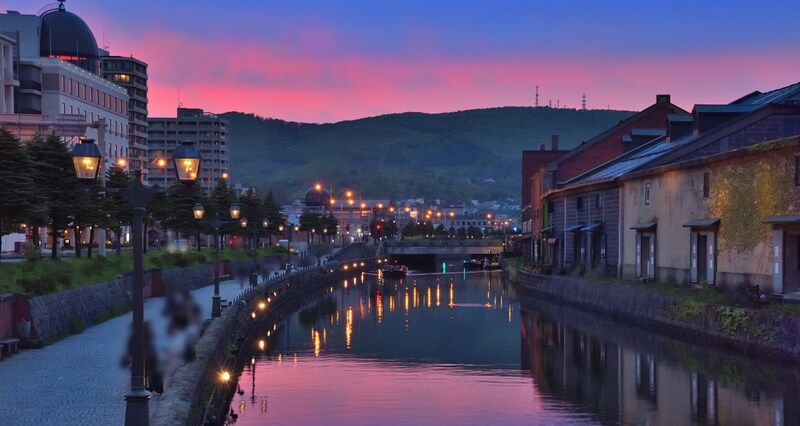 Our Hokkaido Japan tour package includes the best cities in Hokkaido, including the stunning beauty of Otaru Canal and Sapporo's thriving metropolitan city. Sample the local cuisine during the tour, with stops at the Hakodate Morning Market and with a Jingisukan (Mongolian Barbecue) meal. We also included the can't miss sites and attractions in Hokkaido, from the Historical Village & Moerenuma Park to the captivating Tomita Farm & waterfalls, this Hokkaido tour has it all. Before our tour ends, we will spend two days in Hakodate, the city known for it's Million Dollar View of the skyline at night. Have your cameras ready for a sight unlike any other. You can also extend your vacation before / after this Highlights of Japan Tour in Tokyo or Hokkaido. 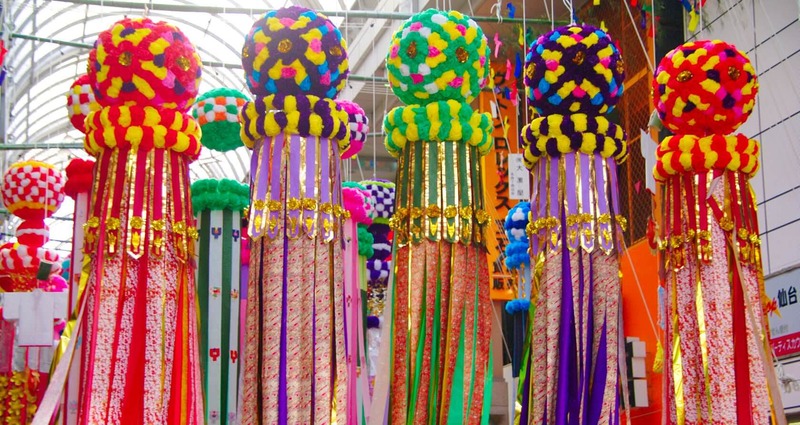 Join us on this Northern Japan Tour as we explore some of the best festivals. Considered one of Tohoku's top festivals, Kanto Festival's numerous lanterns and chants of excitement will be an exhilarating experience. 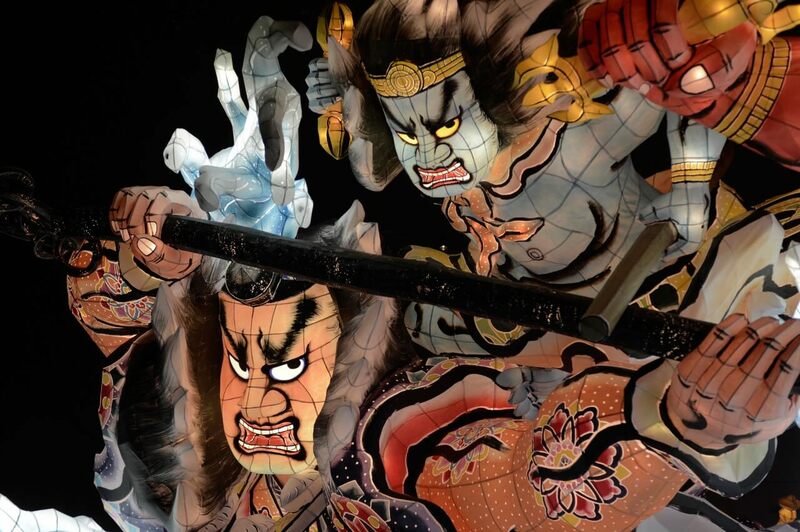 On our way up north to Aomori we will witness yet another spectacular festival, Nebuta Festival. Large floats decorated with images of historical figures fill the town as drum tunes add to the festivities. Our final festival is the Tanabata Festival in Sendai which prays for the good fortunes and health of the people, featuring colorful streamers and fireworks. All the while before, after, and in between these major festivals, this tour will take you to highlight spots of each of the Tohoku prefectures including Tsuruga Castle in Fukushima where the Japanese Revolution took place, Yamadera in Yamagata where famous poet Matsuo Basho wrote his renowned haiku, Hiraizumi in Iwate where over 3,000 national treasures are preserved, and more. Don't miss out on this exciting, festive tour throughout Tohoku which takes you back to Tokyo. 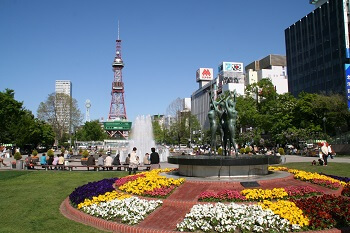 You can also extend your vacation before / after this Northern Japan Tour in Tokyo. Discover the treasures north of Tokyo in the Sake Haven city of Niigata. 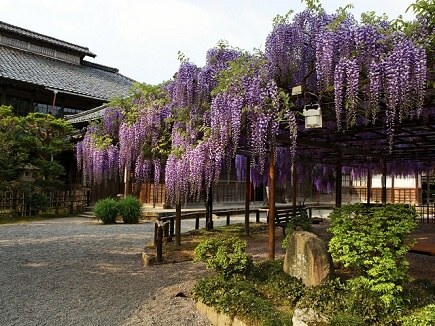 During our Niigata Wisteria Tour, embark on a fully escorted Japan tour through the northern city! 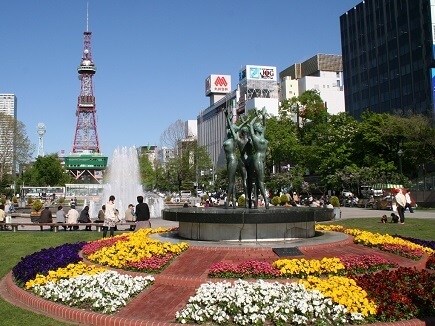 Our time in Niigata is marked with all the essential activities that make Niigata an unforgetable destination. Enjoy the natural beauties in between sampling some of the best sake's of Japan. Niigata is located between the Sea of Japan and beautiful rivers that provide the land with everything required to make an excellent cup of Sake. 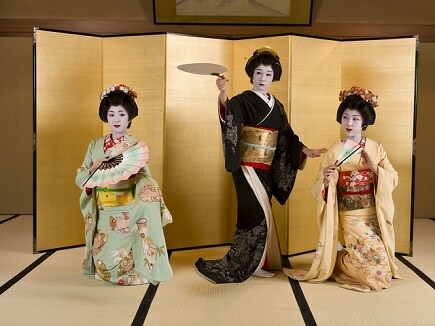 This tour also packs some cultural experiences, from the bullet train ride to Niigata to the Geiko show, experience the best of old and new Japan. You can also extend your vacation before / after this Highlights tour in Tokyo. Discover the hidden gems in Japan's Sake Capital! 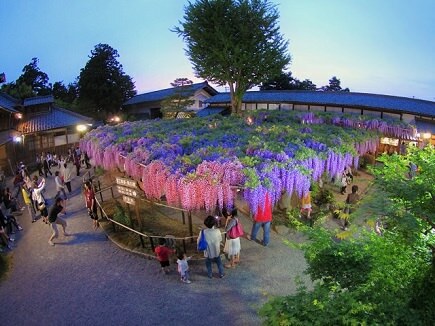 Our Highlights of Japan | Niigata Wisteria Tour is a glamerous journey starting in Niigata and makes it's way through the western portion of Japan. Our opening two days in Niigata is marked with nature, sightseeing, and sake. Niigata is well-known for the sake produced by the high-quality ingredients all around the city! The location is perfect for sake, sashimi, and other unique specialties you're bound to buy a bunch of to bring back for friends. Then it's off to Tokyo to enjoy a dynamic mix of traditional culture blended with anime and cutting edge technology. Highlights include the popular districts of Shibuya, Asakusa, and Harajuku to get a feel for the multiple layers there is to Tokyo. From there, it's off to see the gems of Kyoto and Nara. The ancient capital is filled with landmarks and must-see temples and shrines that capture the spirit of Japan! This tour is also packed with cultural experiences, from a bullet train ride to Japan to a Japanese green tea ceremony. Our tours include sake tasting and even a stay in a Japanese style hotel in Hakone so you can enjoy a traditional kaiseki meal after a realxing dip in the hot springs. You can also extend your vacation before / after this Highlights tour in Tokyo, Osaka, and Kyoto. Enjoy the northern charms of Japan before an exciting tour west through the country! Travel the essential spots both north and south of Honshu on our Highlights of Japan | Hiroshima & Niigata Wisteria Tour. Enjoy the finest destinations from the northern city of Niigata to the southern gems in Hiroshima for an epic vacation in the Land of the Rising Sun. Our tour opens up with two days in Niigata, the sake heaven of Japan. Enjoy fresh produce and sake while we travel to the best spots the city has to offer. After our time in Niigata, we go on a multicultural journey through Tokyo, visitin the ancient sights like Asakusa to the more modern Harajuku. Two days dedicated to the traditional Kyoto and Nara are filled with stunning temples, shrines, geisha, and everything else that just screams: Japan! Before our tour is over, enjoy exploring Hiroshima, also known as the City of Peace . There are plenty of great sights, but the top sights we will visit include the Peace Memorial Park and the floating gates of Itsukushima Shrine on Miyajima! We also packed a couple of bullet train rides, a tea ceremony, and a traditional Japanese dinner at a hotel with hot-springs! All of this is to ensure your tour has an authentic experience from start to finish. You can also extend your vacation before / after this Highlights tour in Tokyo, Osaka, Kyoto, and Hiroshima. From the northern city of Niigata to the southern charms of Hiroshima, enjoy the best of Honshu on this action packed tour!